Fee depend on weight up to 3.5 oz. with Signature confirmation. To protect both of us. It is used for scanning. if you can send us a note before you send an item back to us. Block Surcharges 1889 Rama V Thailand Siam old mint stamp SCARCE! (Rate 33 bahts). VF-unused NG and rare item. Horse Jubilee HV 1908 Rama V Thailand Siam old used stamps SCARCE! (Rate 33 bahts). VF used, complete set and rare item. 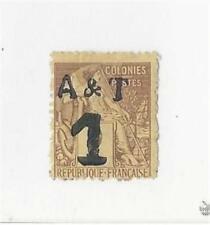 Nice Cancellation Rama V Thailand Siam old used stamp SCARCE! (Nice Cancellation and rare item. rate 33 bahts). Fresh.2019 MNH Filipino Centenarian single Sheetlet. VIET NAM--Individual Stamp Scott #34 Used. First issue Rama IX Thailand Siam old mint stamps SCARCE! VF-Fine mint and rare item. 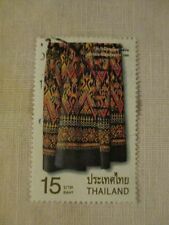 Third issue Rama IX Thailand Siam old mint stamps SCARCE! VF-mint full OG (25B as re-gum) and rare item. Scout-2 Rama VI 1920 Thailand Siam old mint stamps SCARCE! High Jubilee 1908 Rama V Thailand Siam old mint stamp SCARCE! (Rate 33 bahts). VF-mint full OG and rare item. 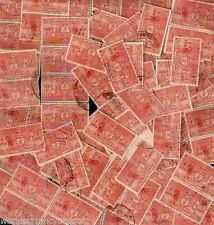 Provisional Issue 1915 Rama V Thailand Siam old mint stamps SCARCE! (Rate 33 bahts). VF-mint full OG, complete set and rare item. Rama V Group 1883 Thailand Siam old mint stamps SCARCE! Surcharges Group Rama V 1891-98 Thailand Siam old mint stamps SCARCE! (Rate 33 bahts). VF-full OG and rare item. 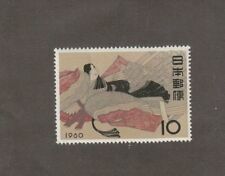 P.R.CHINA SMALL COLLECTION OF STAMPS MNH ON PAGE. KPC#C510 a, Difficult s/s and stamp marginal corner single. Scout-3 Rama VI 1921 Thailand Siam old mint stamps SCARCE! VF-mint OG and rare item. 1/2a type-3 Rama V 1889 Thailand Siam old unused stamp SCARCE! (VF unused and rare item. rate 33 bahts). Z131 - 41Y - Fukuroda Waterfall (Ibaraki). Z132 - 62Y - Notojima Bridge, Nanao Bay (Ishikawa). Z130 - 41Y - Oga Peninsula (Akita). They were issued in 1993. They are all from different prefectures. Vintage Small Collection of China stamps, used, 50-50-100 Free Shipping!